He’s such a good boy, a big teddy bear who loves legos and foam swords. He has a tender heart. I remember a few weeks ago we were talking on the couch and his questions got sadder and sadder as he opened his heart to me. He doesn’t like the news and I never turn it on when he is around. The Boston marathon bombing broke his heart. Natural disasters make him cry and believe they will happen to us, too. I reassure him and point him to God and tell him not to worry, mom and dad will take care of him. Well, I know the typical natural order of things. That it is 99% probable that by the time he does grow up he will be just itching to move on and have adventures, but still, I agreed. How could I not, with those big sad eyes needing to know? You can live with me forever. He has a great sense of humor and I love to hear him laugh. He is little enough to play with Seth and Sarah but big enough to keep them out of mischief. He’s a helper. the big kids thought it was a little early in the morning for such enthusiasm. 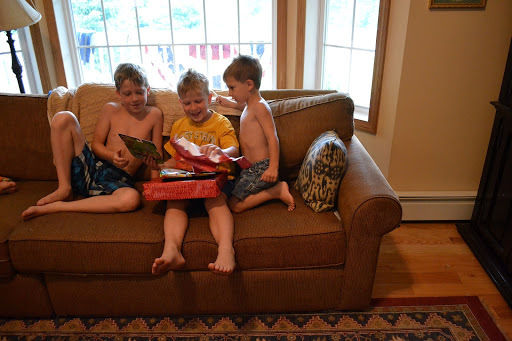 His Uncle David sent him a card with 10 dollars, which was burning a hole in his pocket; he really wanted to go to Target. Jacob needed a hair cut, so the three of us went to the mall. Is there anything more adorable than watching one quiet boy searching and searching the lego aisle for something just right? I couldn’t stand it. He found a lego guy for 9.99 and I threw in the extra change, for tax. (“What’s tax?” he asked.) I also let him pick out a candy, which meant another long wait as he pondered all the options. He finally came up for air with his decision, a bag of “sour patch kids”. 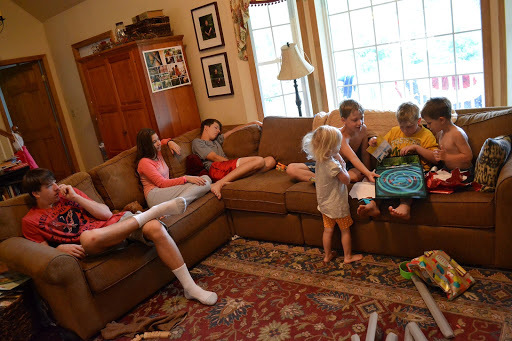 Caleb was the only baby out of seven that I almost lost. 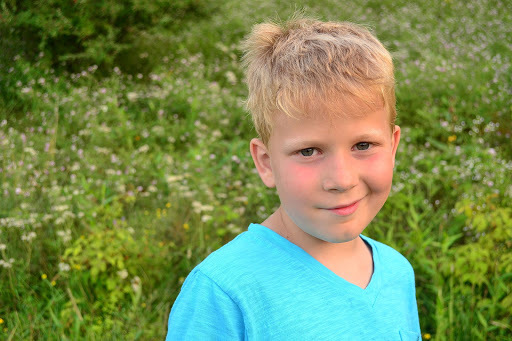 I was 11 weeks along, bleeding, when the doctor told us there was a 50/50 chance that I would lose him. I was stunned, could barely speak. I rested and waited and to this day, I still thank God for letting Caleb grow and develop. We went to the hospital at the full nine months, ready to meet our fifth baby, and found I was already at 7cms. There was no time for an epidural but by the grace of God, the delivery was the best and most “comfortable” of all seven. It was the perfect birth, and he was healthy and beautiful. How I loved all my babies. I taught Caleb to read. He is the one and only child (so far) that I have had the honor to open up the world of reading for. 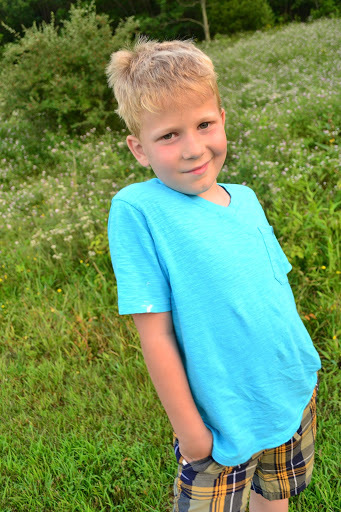 He just completed 2nd grade and was pronounced a “gifted reader”, so that is our claim to fame, the two of us. “Caleb is a gifted reader. I taught him to read, myself.” All in good fun, of course. 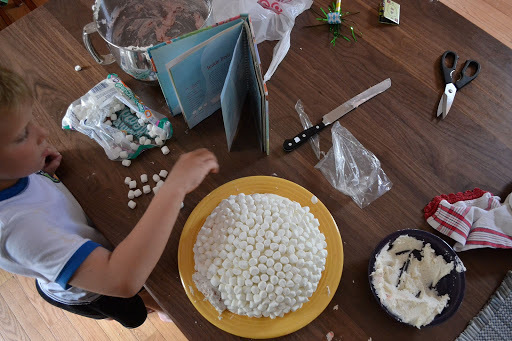 I have a “cut up cakes” book and the day or so before their birthday, the children look at each page, to chose the birthday cake that they want that year. 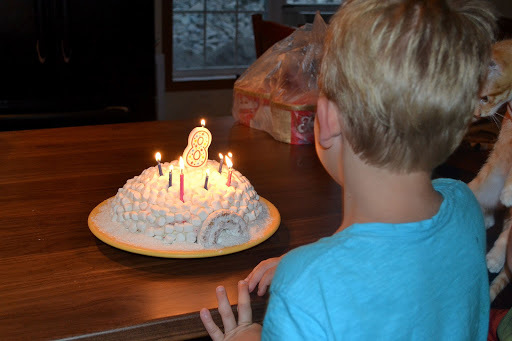 This year, Caleb wanted an igloo cake. I baked it in a (fiesta!) bowl and when it cooled, I frosted it with homemade buttercream. Caleb helped me add the marshmallows while Seth and Sarah stole them, Ethan made bacon and pancakes, and Jacob made a fruit salad (an ABSOLUTELY crazy hour of kitchen fun). Rich got home from work, and after going to watch Jacob and Ethan’s baseball game (it was a very long day), we headed home for cake and ice cream, running next door to impulsively invite the two neighbor children to join us, too. 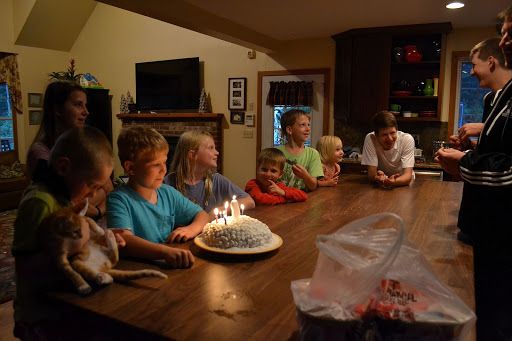 At 8:30 last night, there were 11 of us around the kitchen island, singing and laughing and watching Caleb blow out the candles. And now he is eight. He sounds like my middle one. He is now grown with five littles of his own. So…they do grow up and leave mama. I could even manage that one. Good day, Shanda! Your son has such a sweet smile in that picture. Happy birthday to him! My eldest daughter has a sensitive spirit like his. 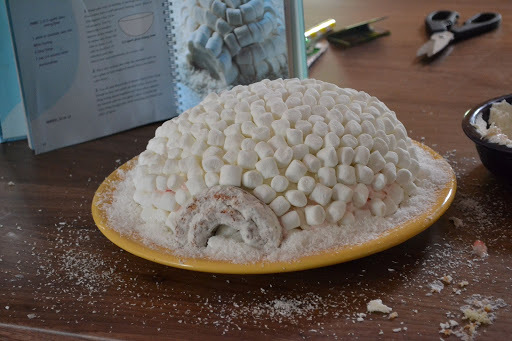 Love your igloo cake! So creative! I wanted to let you now that I was in need of a summer change so I will now be posting at Sweetbriar Cottage. I hope to see you there! Happy birthday to Caleb!!! 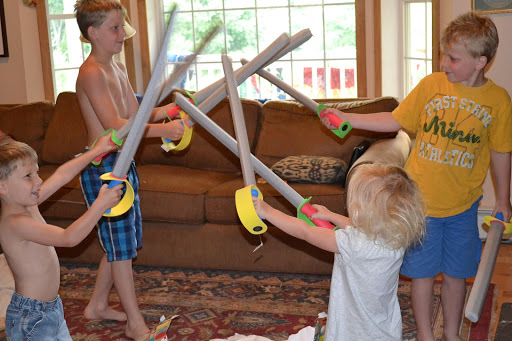 I am glad it was birthday success and the foam swords look like a LOT of fun!!! What a neat idea for a cake! I'm glad he had a good day! Such a sweet description of Caleb & so touched by the tenderness of his heart! How precious. 🙂 Happy day of birth to you as well, Shan! Happy Happy Birthday to dear Caleb. Yes, the boy that wanted me to read with him is a STAR READER! What a sweet heart he has. I think that sweetness and strength in a man is such a blessing. I can say I too have been blessed. 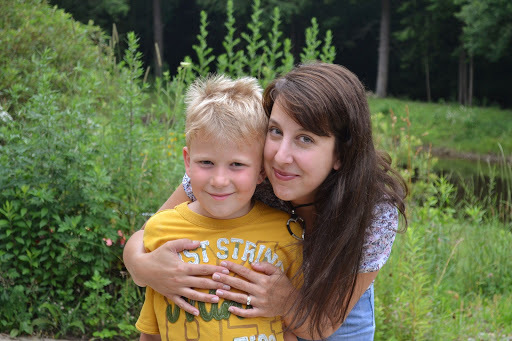 Loved this post, and I have loved watching your children grow up on your blog. 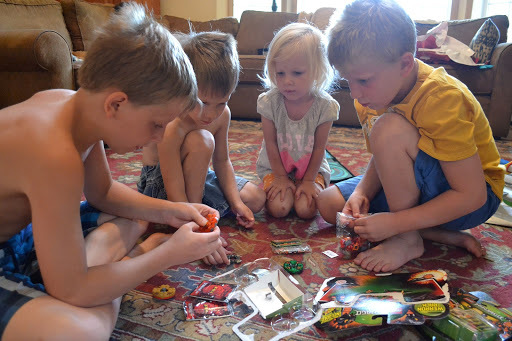 I laughed at the older kids watching Caleb open his presents. I remember that kind of 'early-morning' enthusiasm on Christmas Morning as a kid. Congratulations on the 'Gifted Reader'. That's awesome!